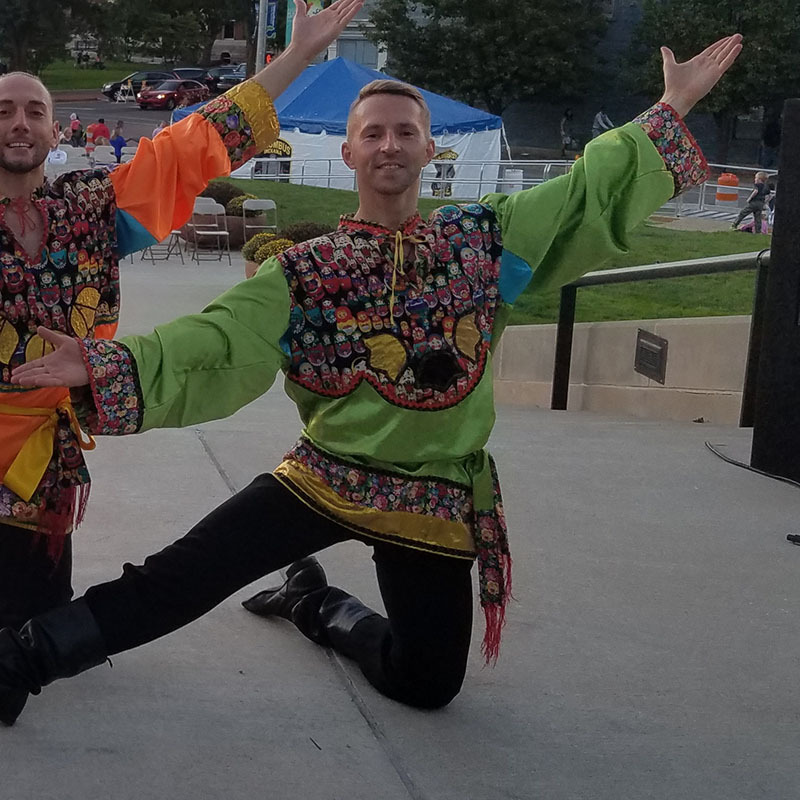 Russian character dancer Konstantin Tulinov joined New York based Russian folk dance and music ensemble Barynya in 2016. Konstantin arrived to the United States of America from Moscow, Russia. 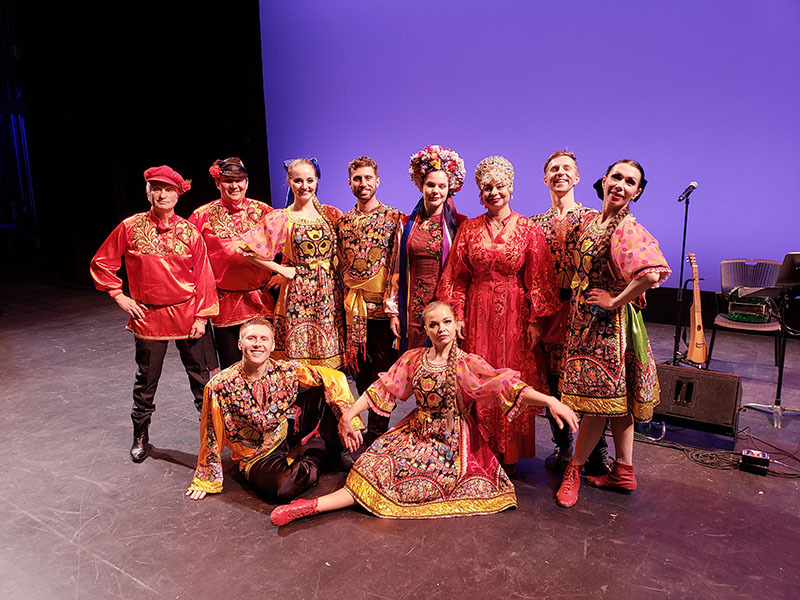 Russian dancers, singers and musicians of ensemble Barynya performed 90 min concert at the Lone Tree Arts Center in Lone Tree, Colorado on Saturday, March 9th, 2019. 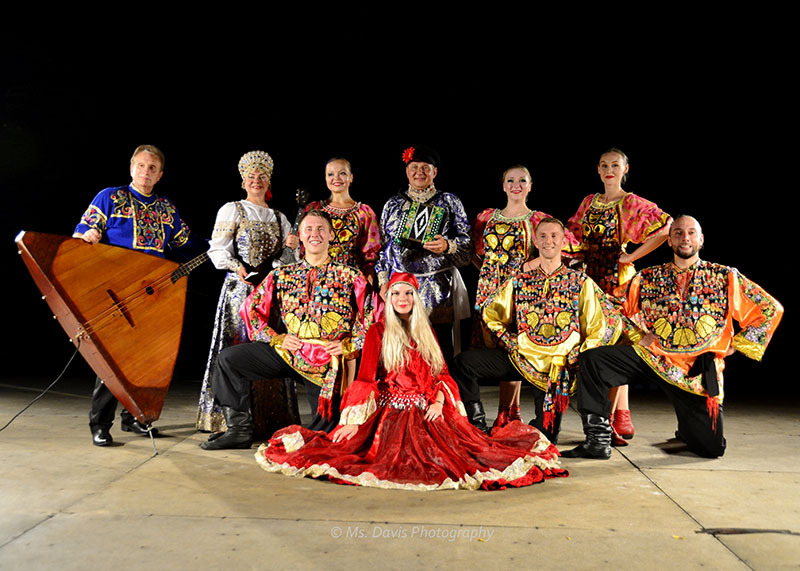 Cast of Barynya ensemble included dancers Alexander Rudoy, Konstantin Tulinov, Vladimir Nikitin, Olga Chpitalnaia, Katia Brovkina, Valentina Kvasova, Alisa Egorova, and musicians Leonid Bruk (balalaika-contrabass), Elina Karokhina (balalaika), Mikhail Smirnov (garmoshka, guitar, vocals). 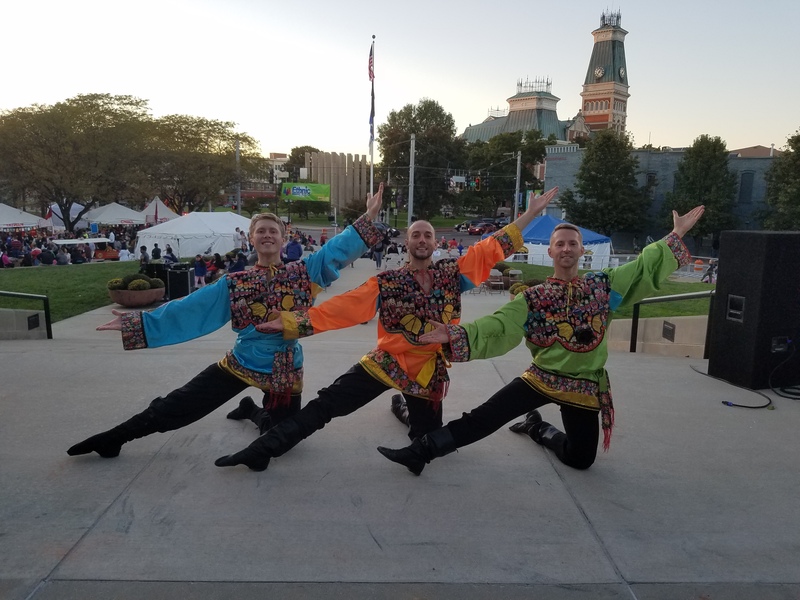 Dancers performed Moldavian dance, Sailors' dance, Barynya, Kalinka, Hopak, Danila Cooper, Jewish wedding dances (Bottle dance, Candle dance), Siberian, Gypsy, Cossack, and other selections. Exact address of the venue: Lone Tree Arts Center, 10075 Commons Street, Lone Tree CO 80124. 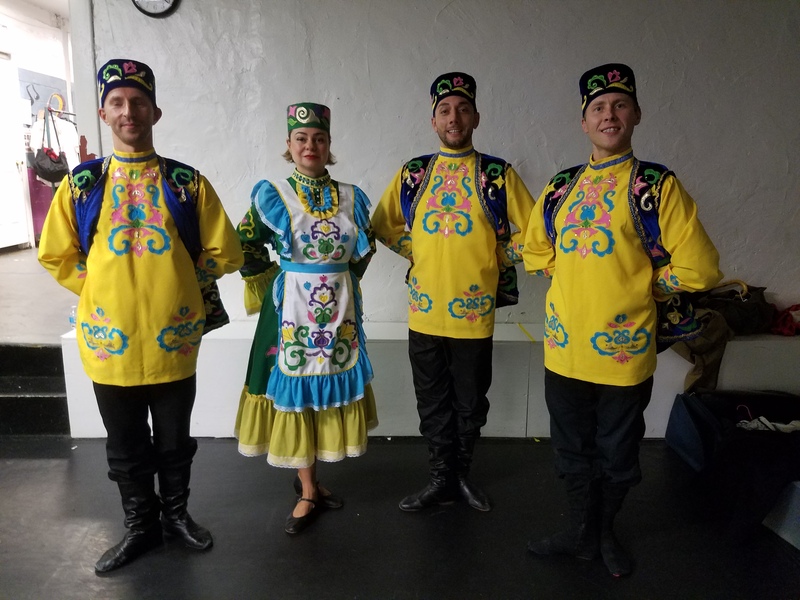 On Saturday, October 13th, 2018 ensemble Barynya performed 90 min concert sponsored by Freeport Community Concert Association (FCCA) at the Freeport High School, 50 S Brookside Ave, Freeport, NY 11520. Cast of Barynya ensemble included Vladimir Nikitin, Irina Zagornova, Leonid Bruk, Valentina Kvasova, Alexander Rudoy, Simona Zhukovski, Serhiy Tsyganok, Irina Biryukova, Konstantin Tulinov, Olga Yeliseyeva, Olga Chpitalnaia, Ilia Pankratov, Alisa Egorova, Elina Karokhina, and Mikhail Smirnov. 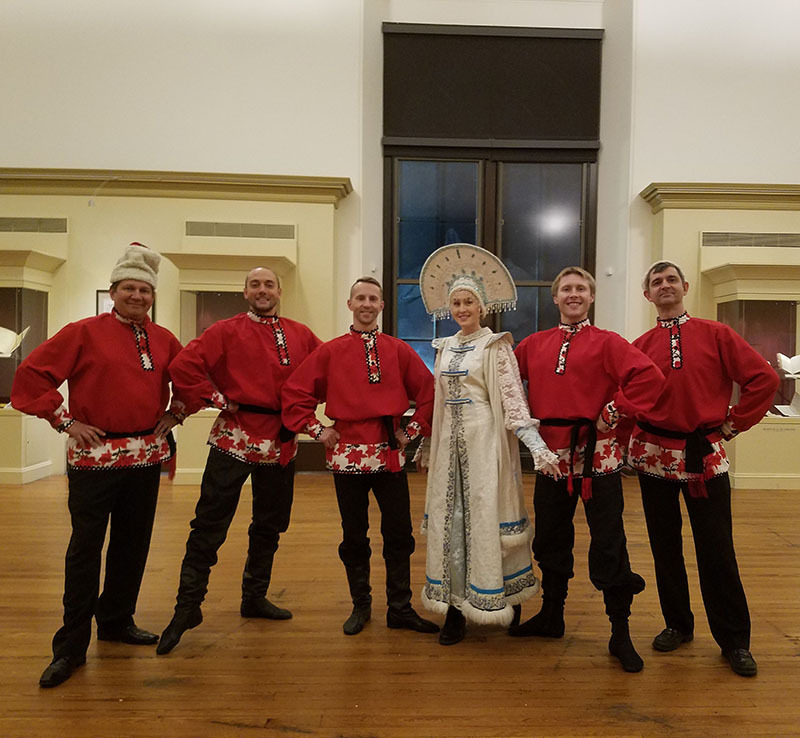 Performance of traditional Moldovan dance during wedding reception at the Rockwood Park Carriage House in Wilmington, Delaware on Saturday, February 16th, 2019. Cast of dancers included Vladimir Nikitin, Valentina Kvasova, Konstantin Tulinov, and Olga Chpitalnaia. 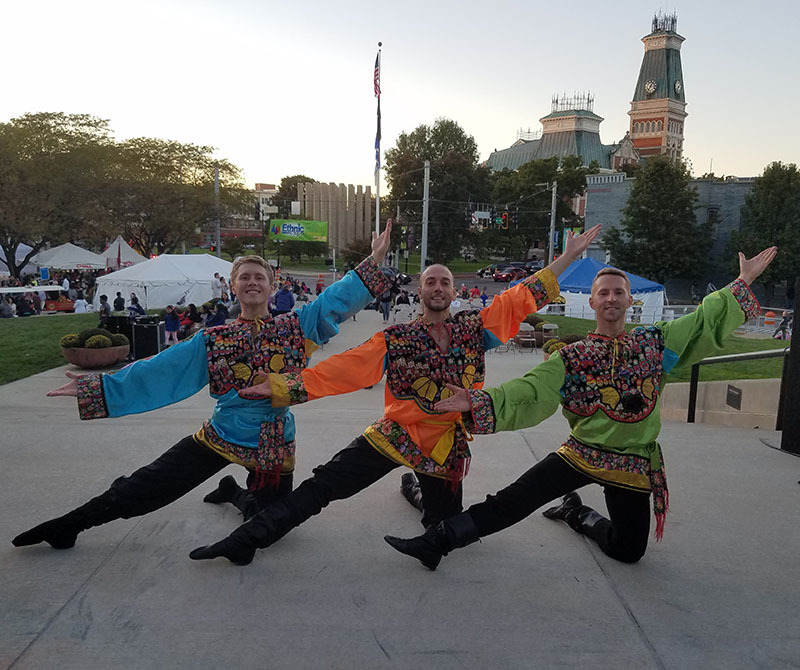 Dancers performed Russian folk dance "Kalinka", two Jewish wedding dance routines (Bottle dance, Candle dance), and traditional dance from Moldova (an Eastern European country and former Soviet republic). Exact address of the venue: Rockwood Park Carriage House, 4671 Washington Street Extension, Wilmington, DE 19809. 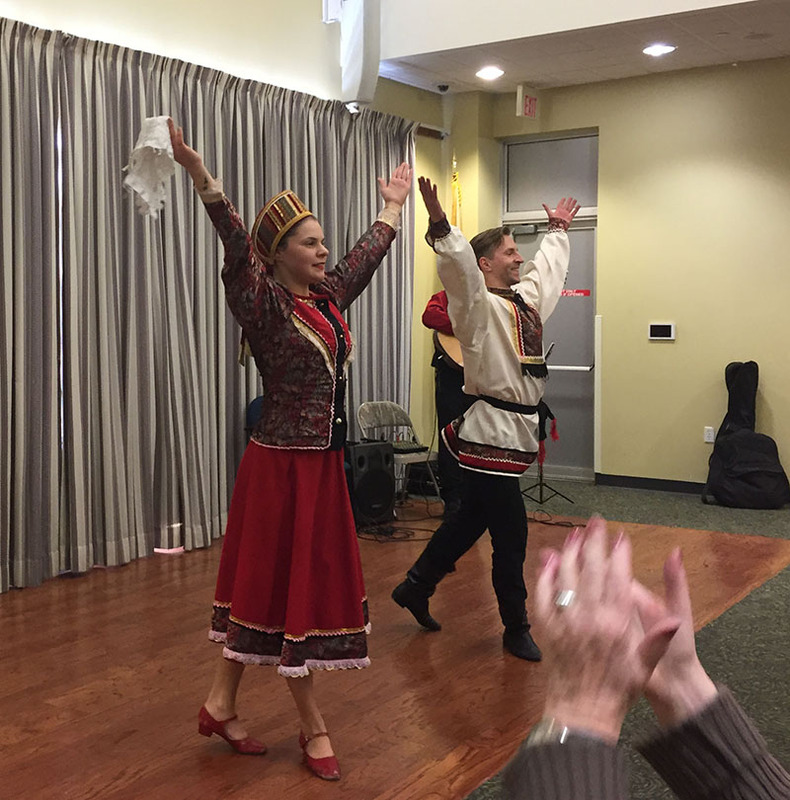 Russian dancers and musicians of ensemble Barynya performed one hour concert at the Mahwah Public Library on Saturday, February 10th, 2019. Cast of Barynya ensemble included Russian dancer Alisa, Russian dancer Konstantin, and guitar player Alexei. 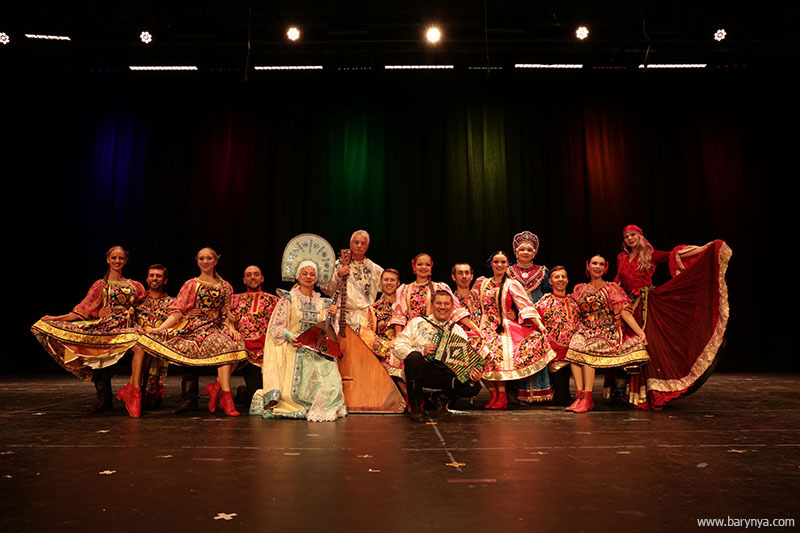 Dancers performed Barynya, Kalinka, Hopak, two Jewish wedding dance routines (Bottle dance, Candle dance), Siberian dance, Gypsy dance, Cossack dance, and other selections. Guitarist Alex performed Russian favorite songs like "Moscow Nights", Long Road, Dark Eyes, Katyusha, and others. Exact address of the library: Mahwah Public Library, 100 Ridge Road, Mahwah, NJ 07430. 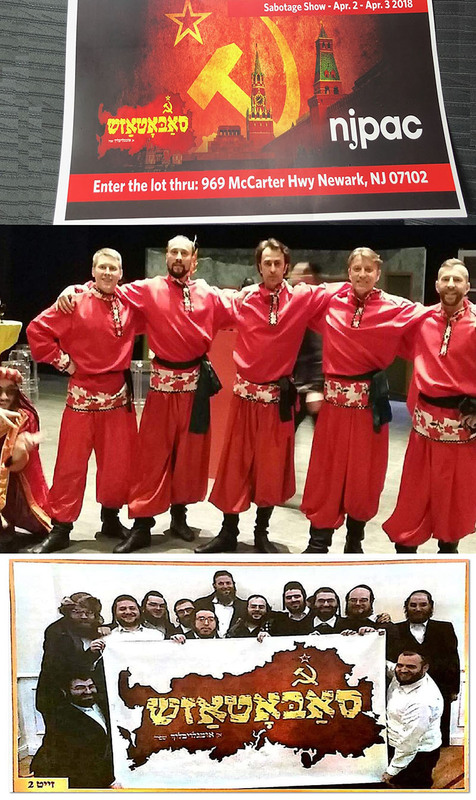 Male Cossack dancers of ensemble Barynya provided four top energy Cossack dance performances with amazing tricks, high jumps, knee-bending Kozatsky moves during SABOTAGE SHOW at NJPAC on April 2nd and April 3rd, 2018. NJPAC or New Jersey Performing Arts Center is one of the largest performing art centers in the United States. Exact address: 1 Center St, Newark, NJ 07102. Cast of dancers included best Cossack dancers: Andrei Kisselev, Aliaksandr Anatska, Danila Sherstobitov, Konstantin Tulinov, and Vladimir Nikitin. Russian traditional dance, song and music Ensemble Barynya (Sergei Tsganok, Mikhail Smirnov, Konstantin Tulinov, Vladimir Nikitin, and Dinara Subaeva) provided Russian folk dance and music presentation during mixed Russian-American wedding reception on Saturday, December 10th, 2016 at the George Peabody Library located in Peabody Institute, (exact address: 17 E Mt Vernon Pl, Baltimore, MD 21202). Dance selections included “Barynya” (Russian dance), “Kalinka” (Russian dance), Gypsy dance “Mardzhandzha”, Ukrainian traditional dance “Hopak”. Balalaika virtuoso Andrei Saveliev and Mikhail Smirnov (garmoshka, guitar, vocals) provided mix of Russian, Ukrainian, classical, modern, and Russian Gypsy music and songs during the cocktail hour. Dancers and musicians together performed 20 min set during reception's main course. Olga Chpitalnaia - Russian dancer from New York.